When one has a custody evaluation looming, it can add to the stress and anxiety that you’re already experiencing during a highly contentious divorce and custody process. We wish we could tell you that this stress and anxiety is unwarranted. We can’t. Reasonable people should be nervous and fearful that some allegedly unbiased and professional individual has the power to make a life-altering recommendation and assess your ability to be a parent – after what usually amounts to less than 10 total hours of time spent with you, you’re ex-spouse (or soon-to-be ex-spouse), and your children. It is critically important that you prepare well for a custody evaluation. A custody evaluation is intended to be an in-depth examination of all family members for the purpose of making recommendations to the court about a parenting plan. It is supposed to be “in the best interests of the children,” however, far too many people know how empty that phrase can be. A custody evaluation may or may not include a psychological evaluation. A psychological evaluation may be ordered by the court, be requested by one or both parties, or may simply be a default part of the evaluator’s plan and included in the costs of the evaluation. Past and present relationships between the parents and children. Each parent’s ability and willingness to provide for their children’s financial, physical, and emotional well-being. Determine if there are any shortcomings or roadblocks that will potentially interfere with a parent’s ability to care for or maintain a healthy relationship with the children. Collateral contacts, oftentimes a new relationship between one parent or the other (or both) with a new romantic partner. Close extended family may be part of this process as well. It’s hard to define all of the elements that any specific custody evaluation will cover. There are many variables including, but not limited to: court-ordered CE or private, the CE’s level of experience and/or training, the CE’s caseload, the structure of any custody evaluation firm’s guidelines, among others. One might expect that the more training and/or experience a custody evaluator has, the higher the quality of the custody evaluation. We can tell you from our multiple experiences, nothing could be further from the truth. As previously mentioned, it is vitally important to know what you are getting into and to make sure that the custody evaluator doing the assessment is properly trained and experienced. Please remember, even then, there are no guarantees of a “fair” outcome. Detailed interviews. These interview will typically include both parents, children, step-parents (or new significant others in either/both parent’s lives currently). Less likely, but still possible – extended family members. These are often referred to as “collateral interviews” and will involve persons who would have meaningful knowledge of the children and of the parents in their parenting roles. Psychological testing of both parents. This could extend to step-parents (or significant others) of either/both parents. Observations of the interactions between the children and each parent in a neutral setting using various techniques. More often than not, the technique of choice will involve some sort of play time. Joint-sessions to observe how the “warring” parents interact with one another in a controlled environment. They will listen to how you speak, your tone, your gestures, your language, your body language, etc. Home visits at each parent’s residence. Review of all of the relevant court documents and materials related to the case. If the children attend school, expect a review of report cards, attendance records, behavioral records, etc. during the current year and possibly prior years. A custody evaluation takes a long time to complete, particularly to those waiting on a report & recommendation. Depending on the nature of the case, a custody evaluator can expect to spend anywhere from 20-40 or more hours completing an evaluation. Expect a report & recommendation to arrive somewhere between 45-days and 60-days (in some case – even longer) after the last appointment has been completed. Costs are as difficult to pin-point as it is to readily identify a “good” evaluator. A custody evaluation of this type could cost as little as $2,000 (more often seen with court-ordered, court-related custody evaluation “programs”) to as high as $10,000 or more. 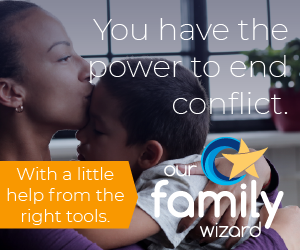 Our position is that custody evaluators have far too much power and influence over the decisions regarding child custody, particularly in a high-conflict divorce case. These “professionals” spend far too little time with a family that has been carrying on with their lives for some time. It is our sincere belief that no matter the level of education, training, and professionalism that any custody evaluator has, it is an unreasonable expectation that they can truly make an accurate assessment of anyone’s parenting ability with the limited interaction and oftentimes very high caseload with which they are burdened. This doesn’t even take into account personal and societal biases which only serve to make matters worse. Do your research and, as always, proceed with caution. Sometimes custody evaluations are unavoidable. If you can avoid them, do so. The worst thing that we can experience as parents is having someone else judge whether or not we are “worthy” of parenting our children. It’s tough enough that it will often come down to a judge’s decision. The less people you have judging you, watching you, twisting your words and gestures, and looking for ways to justify NOT giving you meaningful custody – but to take it away – we feel the better off you will be.